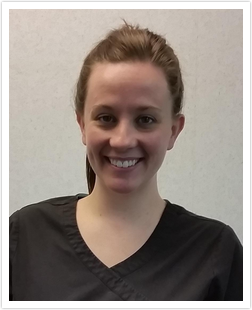 Rosemary is an Expanded Functions Dental Assistant, and she’s been with our practice for one year. She received her dental training at the Indiana University School of Dentistry. 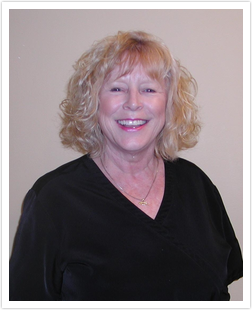 Rosemary says: “I love making people feel good about their dental health and their smiles! I want to make sure every patient I interact with feels comfortable and understands the treatment we are providing. I love meeting new people and getting to know patients.” When she’s not at the dental office, Rosemary enjoys camping, hiking, canoeing, going for walks with her dog, hanging out with her girlfriends, and spending time with her husband and family, including her wonderful nieces and nephews. Bobbie has been with our practice for 28 years and is in charge of coordinating insurance, patient financing, and appointment scheduling. She’s one of the first faces you’ll see when you come to our practice, and she loves getting to know our patients on a personal level. 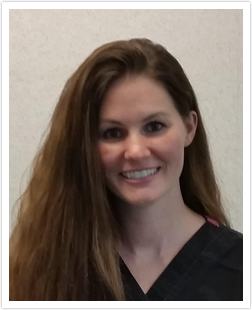 She appreciates working with great, professional people, and seeing new smiles and more confidence in patients when their dental treatment is completed is her passion. In her free time, Bobbie can be found spoiling her grandkids and spending time with them. She also enjoys reading, bowling, walking, baseball games, and spending time with family and friends. 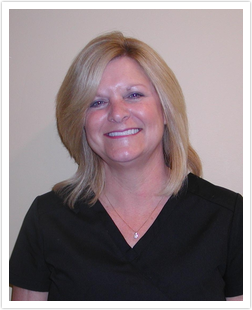 Donna’s dental training began on the job when she was 15 years old and has continued with additional classes and 30 years spent working with Dr. Coffman. What Donna enjoys most about her job is watching the transformation of a patient with many dental needs become confident with their new beautiful smile. She also appreciates the relationships she’s had the privilege of building over the years. In her free time, Donna can be found camping, gardening, cooking, and spending time with her family.